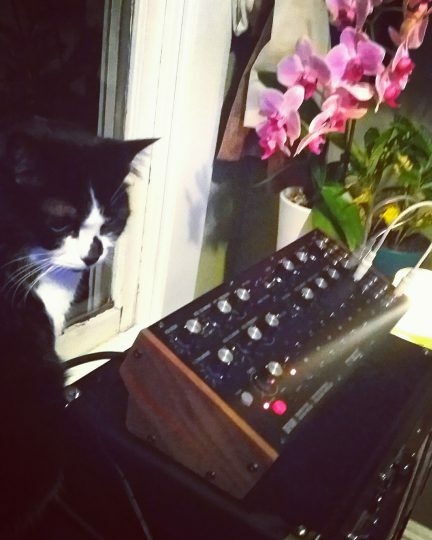 Otto returns for a visit, showing off an impressive modular system courtesy of our friend The Synth Witch (aka Juli Amore). We wish them a successful and fluffy recording session. No this is not Sam Sam. 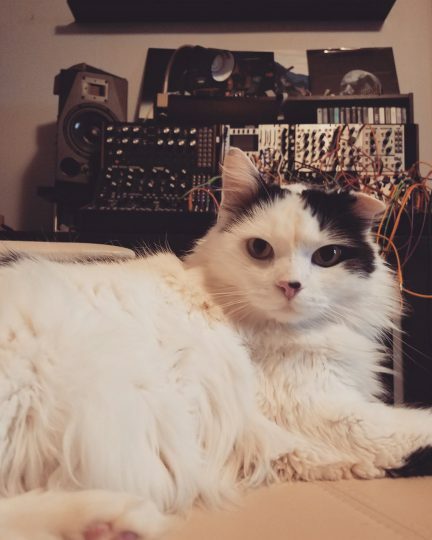 But it is a cute cat with similar markings that lives with our friend Juli Amore aka The Synth Witch. They are playing an Abstrakt Instruments analog bassline synthesizer. 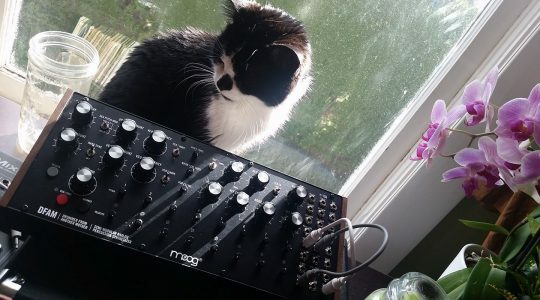 Submitted by Juli Amore, aka The Synth Witch. Please check her music.